There are two (2) completely different documentaries from the mid-1990s with similat formats and similar rosters. The PBS/BBC co-production, “Rock’n’Roll” only ever saw official video release on educational institution VHS. The TIME-LIFE production, “History of Rock’n’Roll,” which I think was syndicated, saw a DVD release in 2004. The PBS doc is a little smarter, with more interesting interview subjects. The TIME-LIFE has a slight edge with archival footage. Both are well woth watching. The PBS doc is really good. One weird thing I remember about it is that it has absolutely nothing about the Everly Brothers or the Who. No idea why - obviously those are really important omissions. How did you like it? It's very good but I found it poignant in the end. The way they portrayed it, Joe became a drug casualty who took a long time to rebuild a happy life. Yet there was something melancholy about his journey, like he had more to give to his art but couldn't find it. More or less the way it came across. I doubt he was completely unhappy in the meantime. But it give s a fairly decent picture of a performer who most of us only really know from the early With a Little Help.../Woodstock era and the 80's hit or two. The Mad Dogs and Englishman tour ended up with no one making any money. No kidding. I knew how that was going to end before they said it at the end of the segment. I'll have to look up the live album. They said a film crew was brought on board. I wonder if a concert film exists. 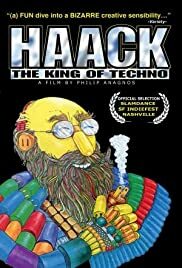 what are your favorite band documentaries? My favorite is Willie Nelson’s Fourth of July Picnic. I don't even like Rush, but I thought the last 2 documentaries that were done on them were excellent. The three guys in the band (particularly Alex and Geddy) just seem like great guys, not to mention stellar musicians. Mike McMann, DME1061, Jason W and 1 other person like this. George P, Hotncrusty and Black Magic Woman like this. Searching for Sugar Man, Janis: Little Girl Blue and 20 Feet from Stardom. Alert and LoveYourLife like this. Thanks for posting, I didn't know about "Time Stands still". Just ordered it. Agreed re: RUSH above. The Beyond the Lighted Stage doc is great! Mike McMann, DME1061 and BDC like this. DME1061 and HappyFingers like this. kanakaris, Grunge Master, BiffJackson and 4 others like this. As a lifelong Rush fan. Im not biased its pretty damned incredible. And, I dunno how much of that documentary that aired on Bravo the weekend Zappa passed away was from the BBC, but, damn, what an event to have playing on my rockin' teenage television. Tom Petty - Runnin' Down a Dream - 4 hour documentary...was great! BluesOvertookMe, George P, Instant Dharma and 2 others like this. Great flick, NOT about techno music. lol. The Last Waltz which I saw in the cinema with 3 other people...with beards. I was only 15 and a punk. Totally out of place, but loved it!!! End Of The Century which I also saw at the movies - alongside a full house of fellow rowdy Ramones fans - of course! Brilliant fun. I think of the former as more a concert film than a documentary but both are excellent. OH God, how could I forget about Soundbreaking, that 8-part exploration of the cutting-edges in producing pop music! George Martin had a lot to do with it, but I don't recall if it was a BBC event, or PBS (I know it ran on PBS, about 2 years ago_). I thought it hit all the high spots...and in only 8 hours!